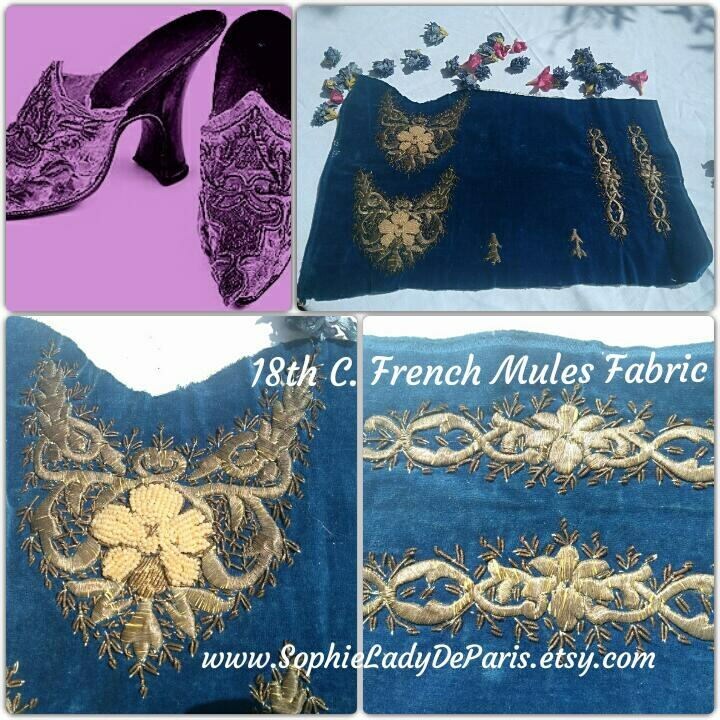 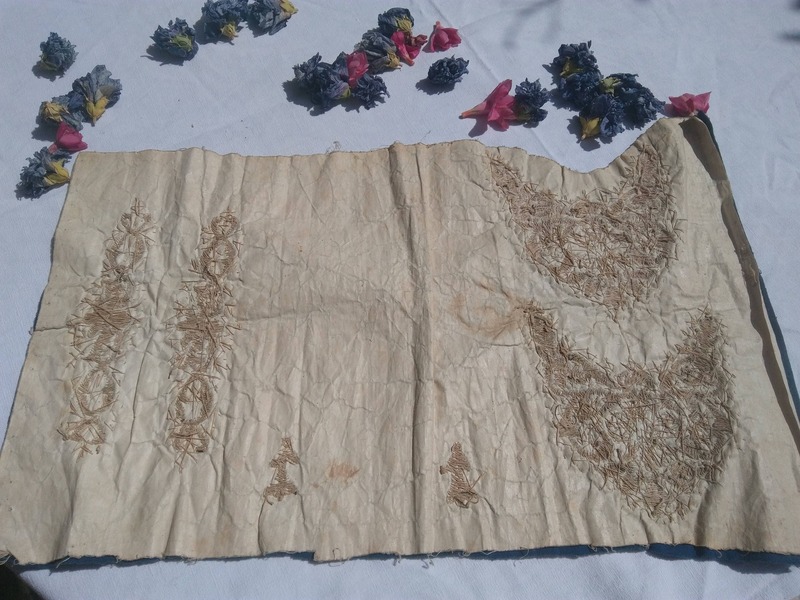 RARE 18th Early 19th French Shoe Fabric to make Lady's mules (slippers). 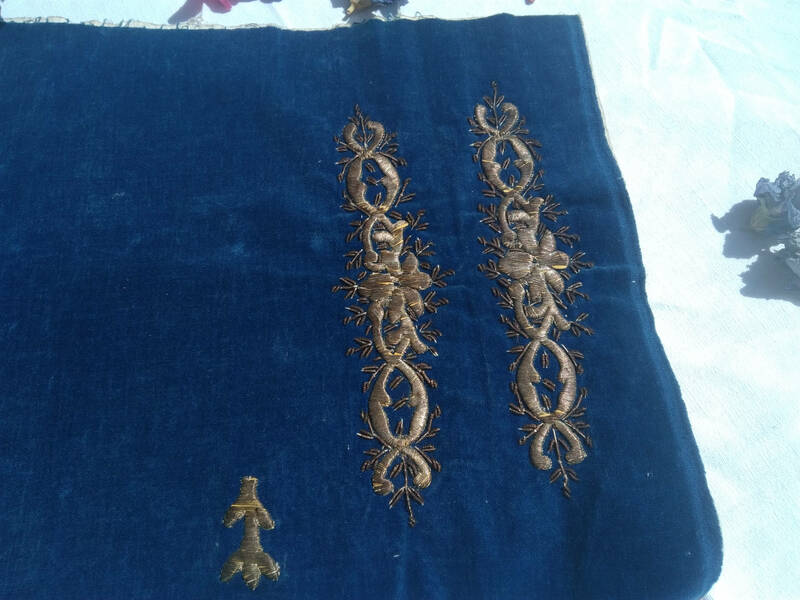 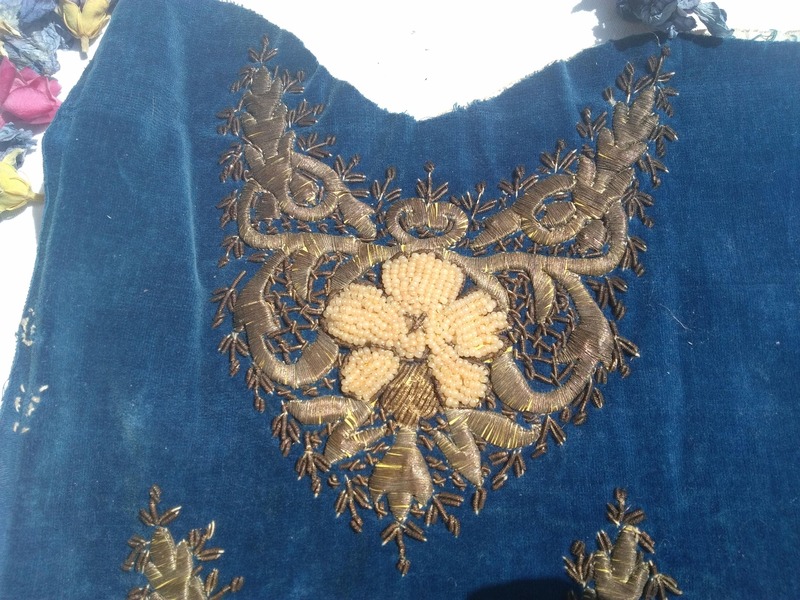 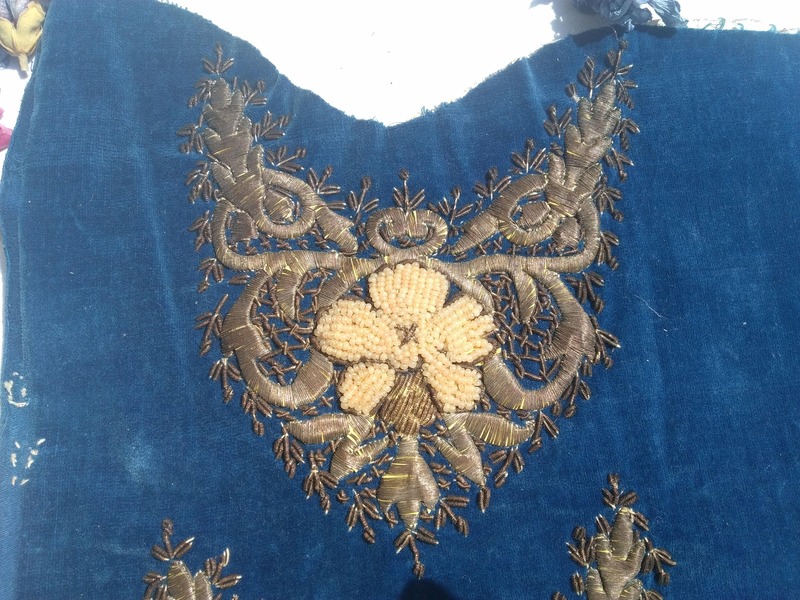 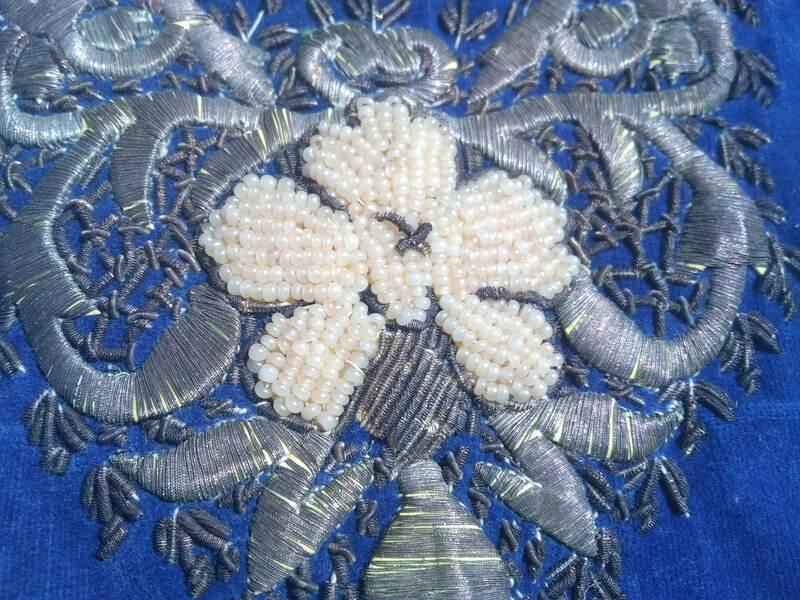 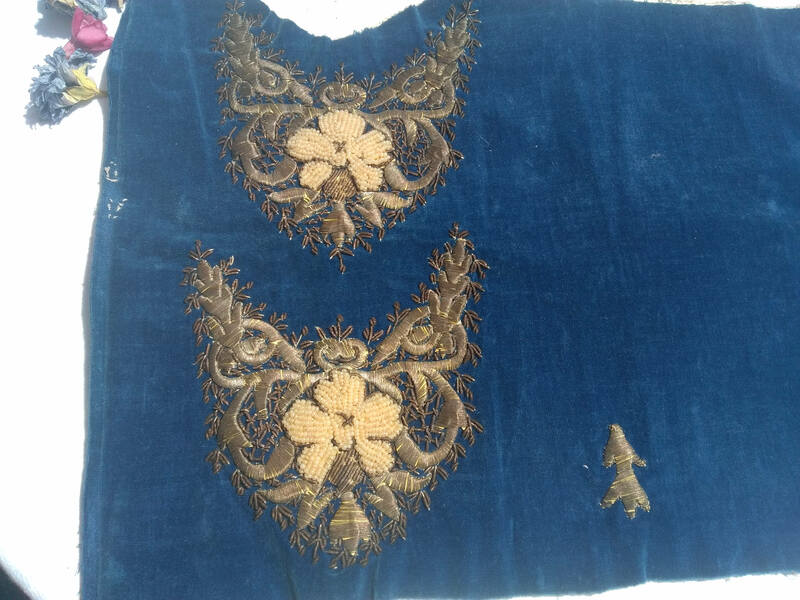 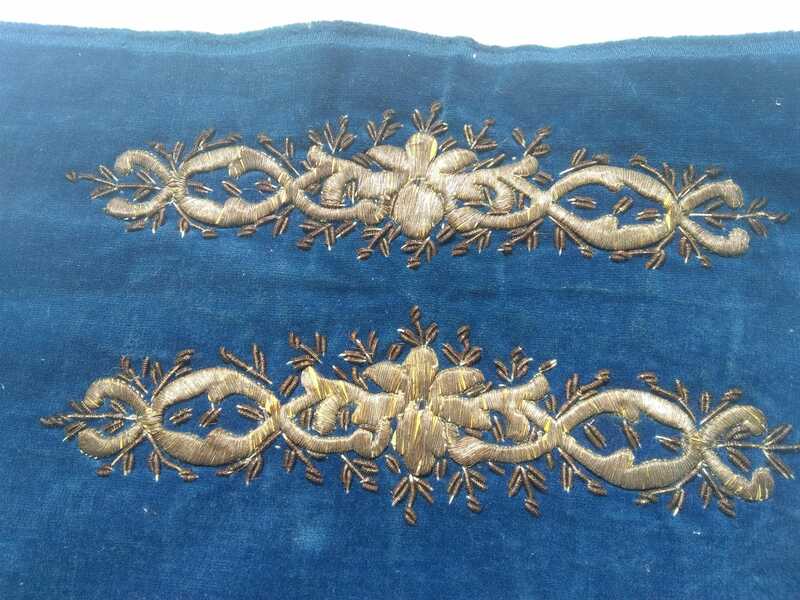 Blue velvet, linen lined, gold thread and pearls hand embroidered. 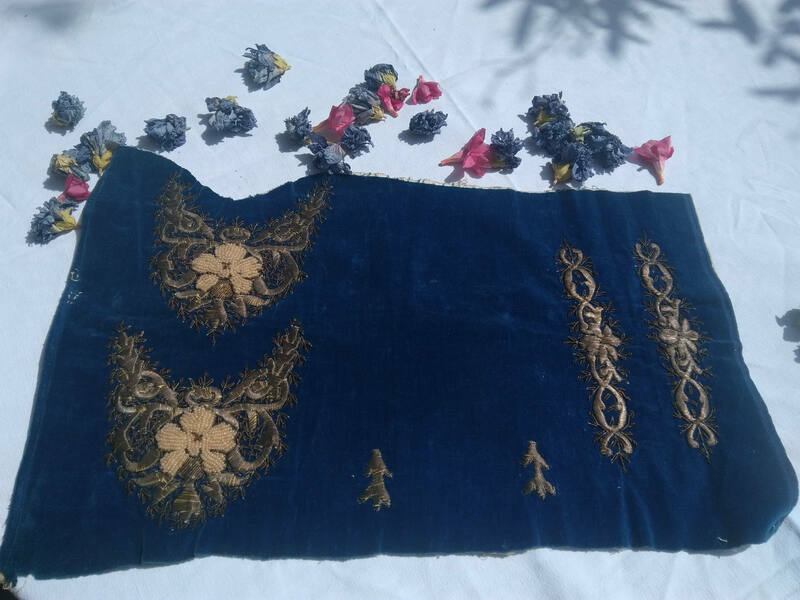 Gorgeous and rare collectible in good vintage condition for its age. 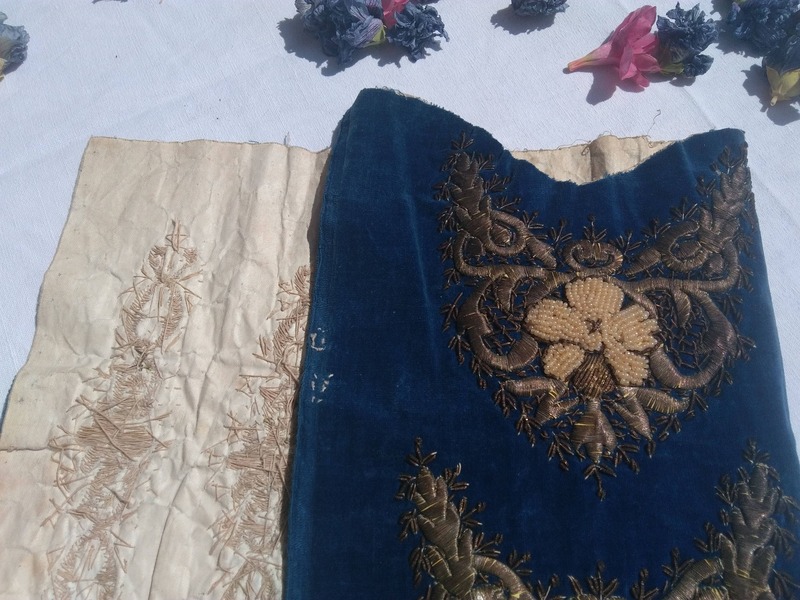 Museum piece or for antique Textile Lovers.